Looking to start a new holiday tradition with your kids? These three films must have been hiding at the bottom of Santa’s bag because they aren’t often seen, but they are treasures not to be missed. This isn’t Ralphie’s Christmas story but an undiscovered gem from 2007. It’s from Finland and dubbed, and you might wonder why it tops my list. You’ll understand after you’ve seen it. 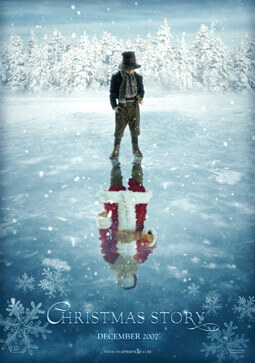 If you ever wondered about Santa’s backstory, this is a beautifully imagined story of how Father Christmas came to be. Beginning as an orphan leaving simple carved toys on the doorsteps of children to whom he’s grateful, the child Nikolas (Hannu-Pekka Bjorkman) grows up to become the Santa Clause we all know and love. The dubbing is fairly well done and really doesn’t distract. John Turturro performs the narration. This sweet holiday film will get your family into the Christmas spirit and may just start a new viewing tradition. It’s available on DVD from vendors like Amazon and also for rental from Netflix. Directed by Juha Wuolijoki. Appropriate for ages 5 and up. 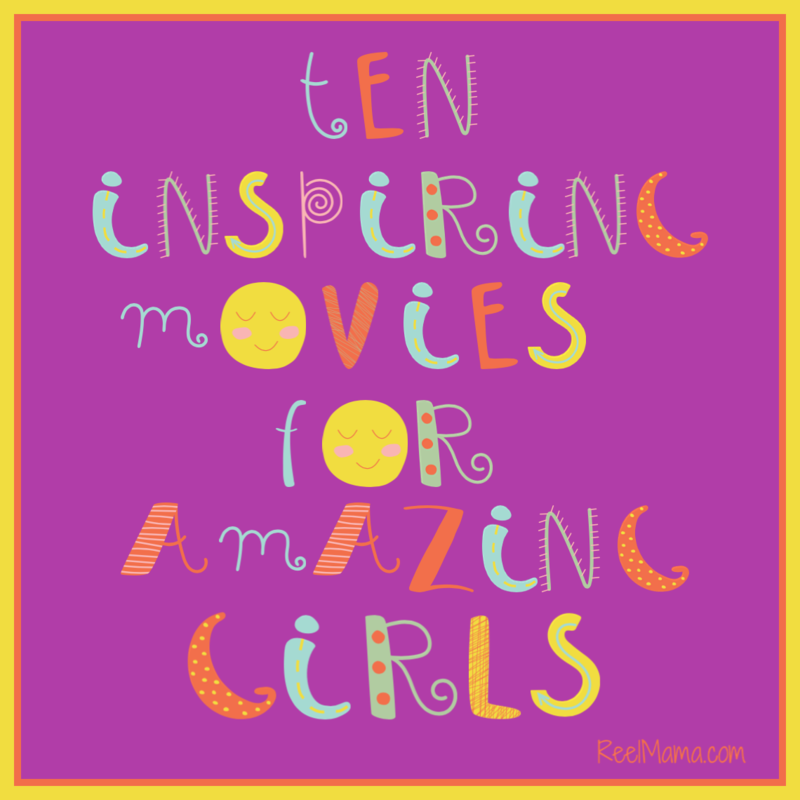 Reel Mama’s rating: K+ (Kids will love!) The ogre-like village curmudgeon, who does lighten up as the film goes on, might be scary for children under five. The child receives news of his parents’ death, but the scene is handled gently and in a way that makes the film appropriate for kids. A breathtaking piece animated in colored pencil made in 1982. For British children, this is the quintessential Christmas movie, so much so that a live-action version was created for London’s West End (England’s version of Broadway). It’s rarely shown in the United States, and children of all ages will appreciate the delightful journey of discovery made by a boy when a snowman he builds comes to life. 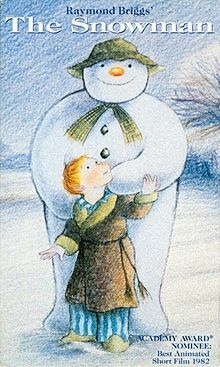 To the snowman, everyday human objects are amazing, and the boy delights in the snowman’s charming antics. The boy shows his new friend the amazing aspects of the human world, and then the snowman leads him on a magical journey to the North Pole. This movie by far eclipses the corny quality of animation of Frosty the Snowman or the strange wooden quality of the motion-capture animation in Polar Express. It’s a simple story told without dialogue appropriate for all ages, one even my 2-year-old can engage with, but that older ones will be captivated by. The film is available in the UK on Amazon and can be ordered from the US, but would require a DVD player that can accommodate international formats. Visit the production’s website for more information. Directed by Dianne Jackson and Jimmy T. Murakami. Adapted from Raymond Brigg’s children’s book. 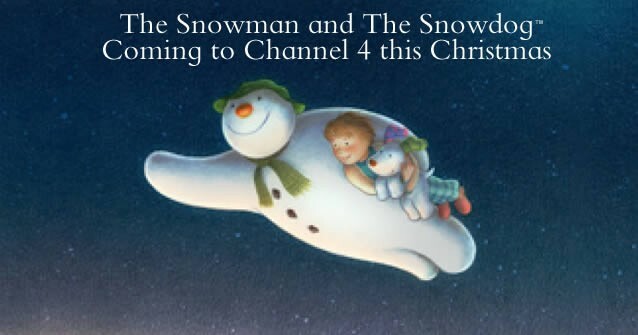 I will announce upcoming broadcasts of “The Snowman” on American TV, when available, right here. Recommendation: All ages. My only reservation for the youngest little ones would be the ending: sadly, we all know what happens to a snowman when the sun rises in the morning. 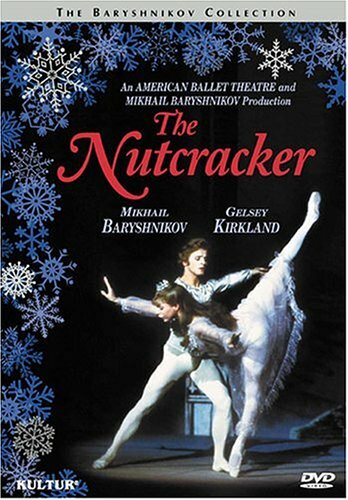 This 1977 masterpiece stars one of the greatest ballet dancers of all time, Mikhail Baryshnikov, who also choreographed it. This is a beloved classic that deserves to be rediscovered by a new generation of children who love dance. Shown for years on PBS, this film showcases an exquisite art form and is a great way to introduce your kids to a love of the arts. I know it was for me. This is the ultimate Nutcracker, following the young Clara from the Christmas party in which she receives the nutcracker from her mysterious uncle Drosselmeyer (Alexander Minz), into her dream world where the nutcracker comes to life and battles the evil mouse king. The nutcracker prince then takes Clara to a magical kingdom. In this production Baryshnikov was at his peak, and his athleticism and defiance of gravity are awe-inspiring. He even does amazing leaps wearing a giant nutcracker head. Gelsey Kirkland is sweet and introspective as Clara. A prima ballerina, she is older than Clara is usually portrayed, but we are rewarded with her effortless grace and heartfelt performance. Don’t miss this one! Available on DVD for purchase through vendors like Amazon, PBS and for rental through Netflix. Directed by Tony Charmoli. Recommendation: All ages. Only the mouse king and the battle between him and the Nutcracker might be too scary for under 5. I should note that my daughter is two and thought the mice were bunnies. There is some mild revelry at the Christmas party. Also, there is something that could be perceived as un-PC: a dancer with his face painted to portray an Arabian doll. It’s something that to me doesn’t read as offensive and probably reflects a lack of diversity in the ballet troupe at the time. This work is such a masterpiece that this should not deter you from seeing the film. This sounds like Frosty the snowman. I still tear up when he melts! This is a great list but I must say, it is often very difficult to find these rare movies online. However, I recently found a place for such rare movies at Classic Movies Etc.